worldwide. Perhaps more than any other musician of his generation or Eastern Caribbean origin, Charles brings a careful study of myriad rhythms from the French, Spanish, English and Dutch speaking Caribbean to his compositions Crucially, as a soloist, he fully grasps the New Orleans trumpet tradition; which is readily discernible in his trademark instrumental swagger, and what famed Crescent City Pianist, Jelly Roll Morton so succinctly captured in the now immortal phrase, 'The Spanish Tinge'. 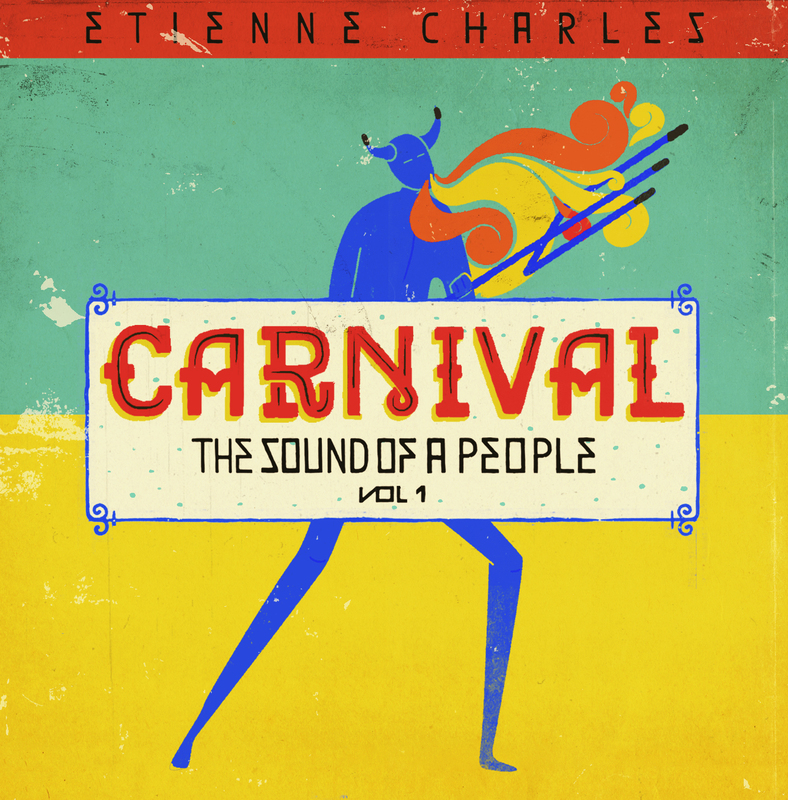 Charles’ forthcoming album, Carnival: The Sound of a People Vol. 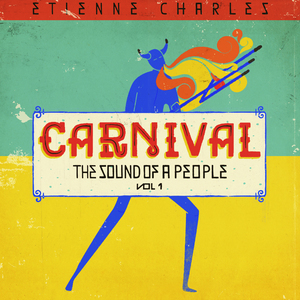 1, is an excursion into the varied acoustic sounds, grooves, chants and rituals of his native Trinidad & Tobago Carnival. 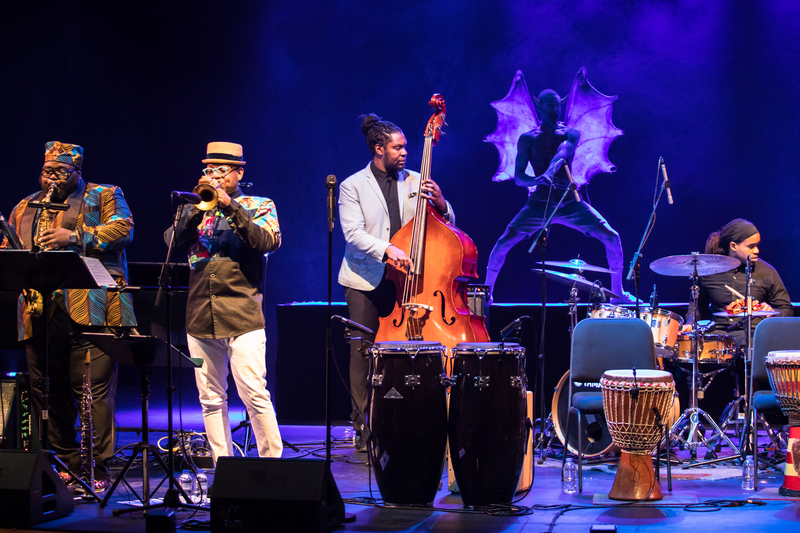 His 2016 album San Jose Suite was a musical discourse on the effects of colonialism through the scope of the experiences of First Nation peoples and African descendants in three San Jose locations, Costa Rica, California and Trinidad. In June 2012, he was written into the US Congressional Record for his musical contributions to Trinidad & Tobago and the World. In 2013, his album Creole Soul reached #1 for three weeks on the Jazzweek chart and was eventually named #3 Jazz Album of the year by Jazzweek. Also in 2013 he received the Caribbean Heritage Trailblazer award from the Institute of Caribbean Studies (Washington, DC). In 2015, Charles was named as a John Simon Guggenheim Fellow in the Creative Arts. In 2016 he was the recipient of the Michigan State University Teacher Scholar Award, the Jazz at Lincoln Center Millennial Swing award and was a featured panelist and performer at the White House for a Caribbean Heritage Month Briefing. He made his debut as producer and songwriter on the album Petite Afrique by Somi (Sony/Okeh 2017) which won Outstanding Jazz Album at the 2018 NAACP Image Awards. He has been featured as a bandleader at the Newport Jazz Festival (RI), Monterey Jazz Festival (CA), Atlanta Jazz Festival (GA), Pittsburgh JazzLive international Festival (PA), San Jose Jazz Festival (CA), Java Jazz Festival (Indonesia), Ottawa Jazz Festival (Canada), St. Lucia Jazz Festival, Barbados Jazz Festival, Library of Congress (DC), Carnegie Hall (NY) and Koerner Hall (Canada). As a sideman he has performed with Roberta Flack, Marcus Roberts, Marcus Miller, Count Basie Orchestra, Frank Foster’s Loud Minority Big Band, Monty Alexander and many others. He has been commissioned as a composer and arranger by the Savannah Music Festival (2017), Chamber Music America (2015), the Charleston Jazz Orchestra (2012) and the Chicago Jazz Ensemble (2011). As an educator and conductor he has done residencies at the Juilliard School (NY), Stanford University (CA), Columbia College Chicago (IL), Oakland University (MI), Walnut Hills High School (OH), Cultural Academy for Excellence (DC) and the US Military Academy (NY). He understands his role as Artist citizen and sees live music as a way to uplift all peoples and is dedicated to bringing it to those who aren’t able to attend concerts. Specifically, in his homeland of Trinidad and Tobago, he has done performances and workshops at Princess Elizabeth Center, St. Dominic’s children’s home, St. Mary’s children’s home, St. Jude’s school for girls, St. Michael’s school for boys, St. Margaret’s school for boys, Youth Training Center and Maximum Security Prison. He currently serves as Associate Professor of Jazz Trumpet at Michigan State University in East Lansing. 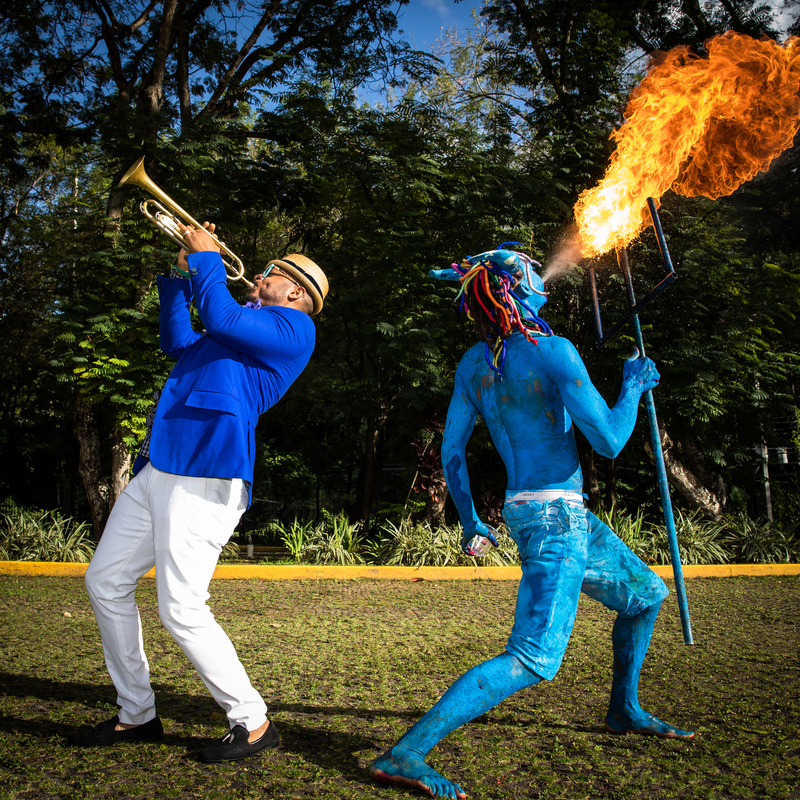 Trinidad-born, Julliard-trained trumpet player and composer Etienne Charles was fascinated by Jab Molassie, the blue, fire-breathing carnival characters, and the people who become them for Carnival. He went to the village of Paramin on Carnival Monday, to watch them compete--only to dive in and start playing the biscuit tin along with them, getting himself splattered with blue paint. “The men and women who play Jab Molassie are really down-to-earth people. Yet they transform into these demons, these vengeful spirits,” reflects Charles. “It replicates hell and suffering, and reminds us of our troubled past as a people, the atrocious acts perpetrated against us,” during slavery, when punishments included being boiled in molasses. 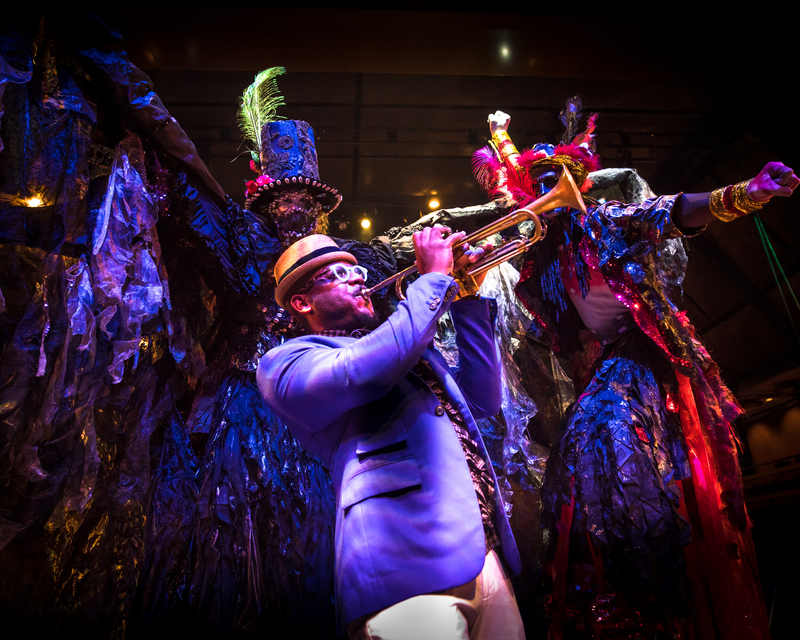 Using the sights and sounds he and his team recorded in Paramin, Charles translated the fire-breathing intensity, the devious, infectious biscuit tin rhythms into an intellectually intriguing, funky piece. Though the results are deliciously nuanced, the pieces emerged with remarkable ease. “The music just came out. I’ve never had a project when the music came out this quickly. I got to work things out on the trumpet, on the drums, on the piano,” recalls Charles. I have all these different influences and sources to draw from and actual people I could “call,” members of his family and friends around the island. 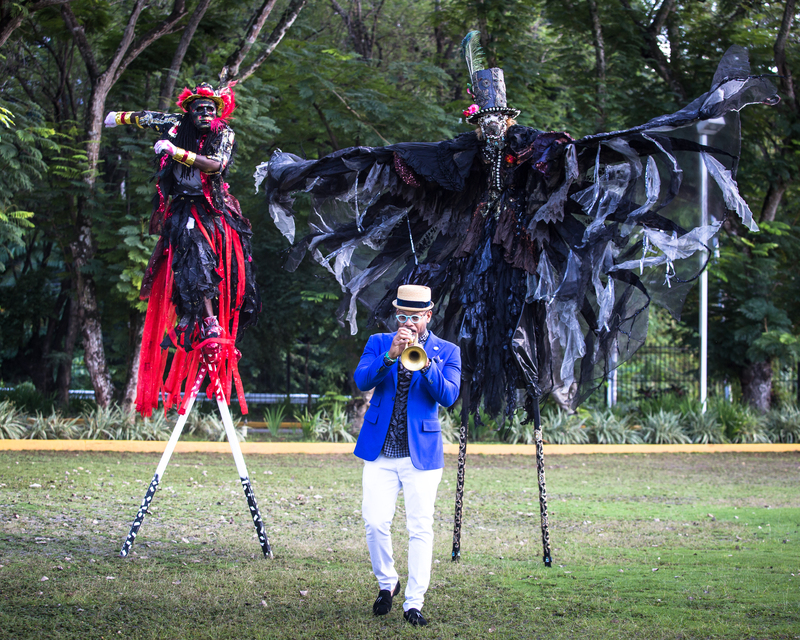 Charles’ family, like many in Trinidad, had been intimately involved in carnival activities since he could remember. He had played in school carnival bands and was eventually drawn to the steel pan, playing with Phase II Pan Groove throughout his teens. He went on to gain a formal education in trumpet and in jazz, seriously engaging with African diaspora music around the Caribbean. He began to turn back to Carnival in his homeland, thinking hard about the many manifestations of parody, critique, rage, and joy carnival enabled. Thanks to a Guggenheim Fellowship, Charles traveled to communities across Trinidad. He spent time meeting, hanging out and playing with, and documenting the work of costume makers, musicians, dancers, and performers. Most welcomed his curiosity and involvement, though the group that inspired “Black Echo IV: Iron” asked if he wanted to use recently recorded samples of their raucous, unforgettable instruments. “I told them I was recording people. If i used samples, it wouldn’t be connected to the ancestors,” says Charles. They eagerly agreed to do a session. “Once they jumped on board they told me about the melody that goes through the iron when they play it.” This melody forms the backbone of the piece, migrating from a field recording of the ensemble into an ingenious horn section. For “Black Echo II: Tamboo” and “Black Echo III: Bamboo”, Charles translates the fuguing rhythmic lines and call-and-response vocals of bamboo percussion ensembles into a multifaceted bassline that picks up the rhythms and melodies they suggest. To capture the full feeling of the ensemble, he placed one mic in the center of the group and recorded the sounds that weave through the tracks. “It’s a sound most people have never heard, have never seen,” says Charles. “I came at it as if it were a first discovery. I wanted to get that wonder, the first time I heard that band. I asked myself what I would play if I didn’t know the culture, if I wasn’t part of the family.” Charles wrote the bass line, then harmony behind it and spaces for improvisation around it.